Utah returns seven starting position players as well as two of their weekend starters on the mound. However, the 2019 Utes are still a relatively young team with 22 of the 34 players on the roster being underclassmen. Zack Moeller returns after suffering a season-ending injury a year ago. As a sophomore in 2017, Moeller hit .265 and had 30 RBI and five home runs. Sophomore Chris Rowan Jr. split the starting role last year but is nursing an injury at the start of the season. 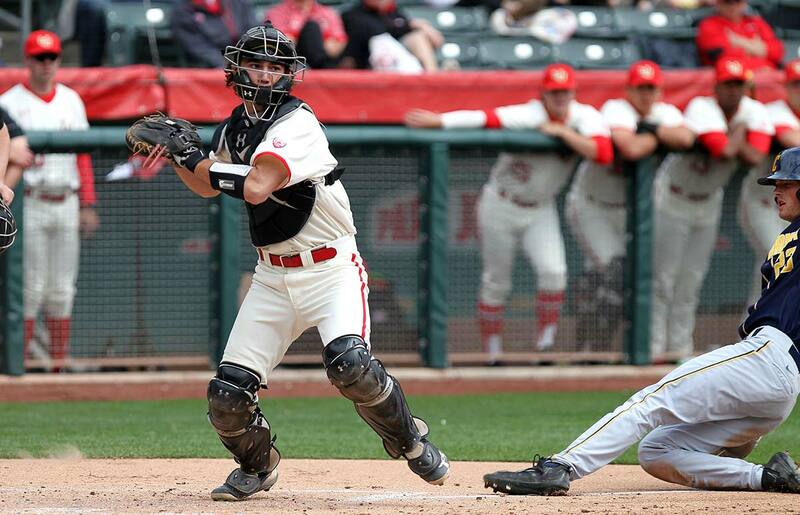 Freshman Jayden Kiernan and Central Arizona College transfer Chris Diehl will provide the Utes with depth behind the dish. 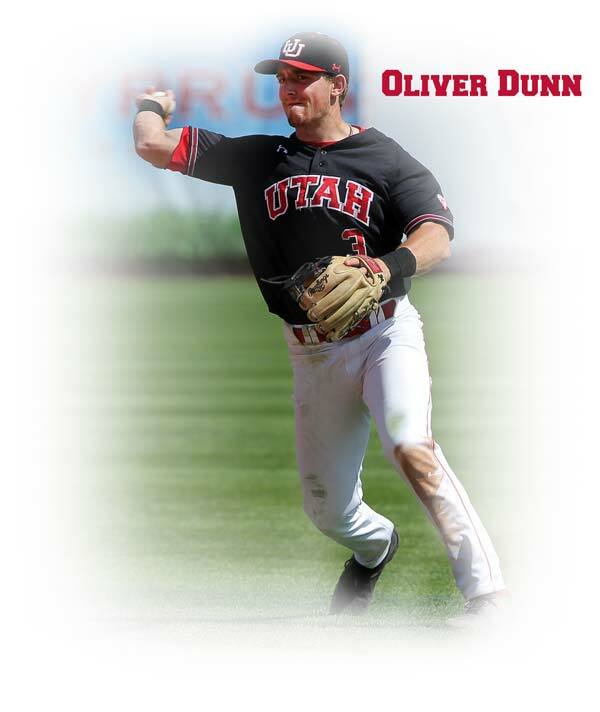 Second baseman Oliver Dunn, a two-year starter, earned honorable mention All-Pac 12 honors in 2018 after hitting .319 with four home runs and 31 RBI. Sophomore Rykker Tom started 54 games last season at third. He hit .298 with a .754 OPS while finishing third on the team with 29 RBI. Matt Richardson was in the lineup 48 games at shortstop last season as a freshman, hitting .236 with 23 RBI. He is being battled for the job this season by Chase Fernlund, a junior college transfer from Feather City College. Fernlund was named the Oregon 4A State Player of the Year in high school and hit .337 last season at the JUCO level. Sophomore Shea Kramer filled in behind the plate in 2018, but has made the switch to first base. Freshman Christian Almanza has also emerged at first and will get some time at DH. Senior Chandler Anderson will be one of the leaders on the team and is set to start in left. He started 44 games and hit .243 with 21 RBI last season. Dominic Foscalina, who will see action in center, hit .247 and drove in 21 runs a season ago. Right fielder Erick Miguelles had a .261 batting average with a .837 OPS and the fourth most hits on the team (42). He also led the team in home runs (7) and RBI (36). Tyler Thompson is coming off a mission and can play center or left. Isaac Devaux redshirted last year and has tremendous potential as well. With the experience they gained a year ago, the pitching staff looks to be more consistent this season. Brett Brocoff, Riley Pierce and Kyle Robeniol are slated to be the weekend starters. The trio combined to have 20 starts in 2018. Ian MacIver, who is coming off an injury, and Joshua Tedeschi are potential starters who otherwise figure to play major roles in the bullpen. Tedeschi could be called upon to close games if he doesn't start them. A few freshmen could make an impact as well. One of those, Zac McCleve, may get a look as the closer. The Cyprus High School graduate was named first team all-state and the Region 4 MVP. Dustyn Schramm, a freshman from Fresno, Calif., will have a role in middle relief. 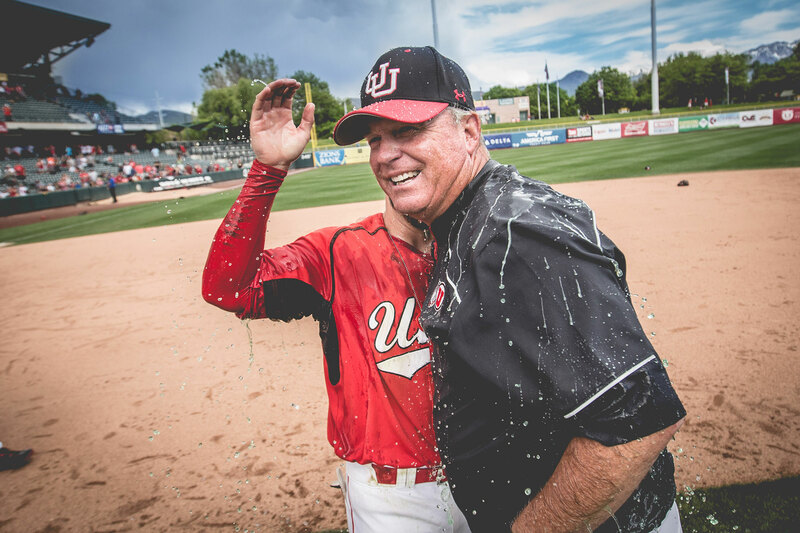 Bill Kinneberg is in his 16th season at the helm of the Utah baseball program and 24th as a head coach at the collegiate level. He has 588 career wins and 343 during his Utah career. Kinneberg was named the 2016 Pac-12 Coach of the Year after leading the Utes to the conference championship. Kinneberg has taken the Utes to a pair of NCAA Regional appearances, placing second in Fullerton (Calif.) in 2009 and going 1-2 in Oxford (Miss.) in 2016. 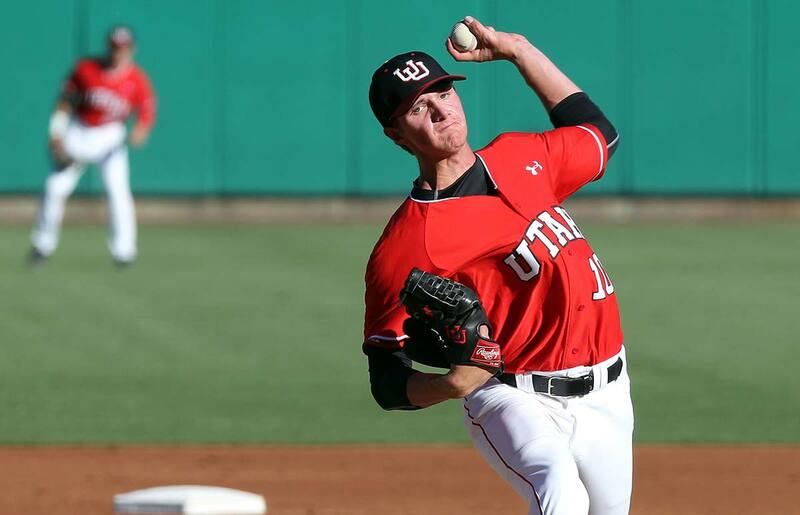 Eleven Utah players have been taken in the first 10 rounds of the MLB Draft under Kinneberg, including the school's first-ever first-round selection in C.J. Cron (2011, 17th overall). Four players drafted in 2017 tied a Utah school record. Kinneberg has also established school records for wins in a season at three schools: UTEP (1985), Wyoming (1990) and Utah (1996). Kinneberg led the USA Baseball Collegiate Team to a silver medal at the 2010 FISU World University Championships in Japan. He also went 25-12 with the 2007 U.S. National Team as its pitching coach, as the team finished with a 1.93 ERA. Prior to joining the Utah staff, Kinneberg worked for the Chicago White Sox organization as a minor league pitching coach. From 1996-2001, Kinneberg was the associate head coach at Arizona. He served an assistant baseball coach at Arizona State from 1992-94. In his last two seasons, Kinneberg helped lead the Sun Devils to back-to-back appearances in the College World Series. Kinneberg and his wife Janet have two sons, Joe (18) and David (16). Mike Crawford is in his 11th year as the pitching coach and recruiting coordinator at Utah, and his third season as associate head coach. 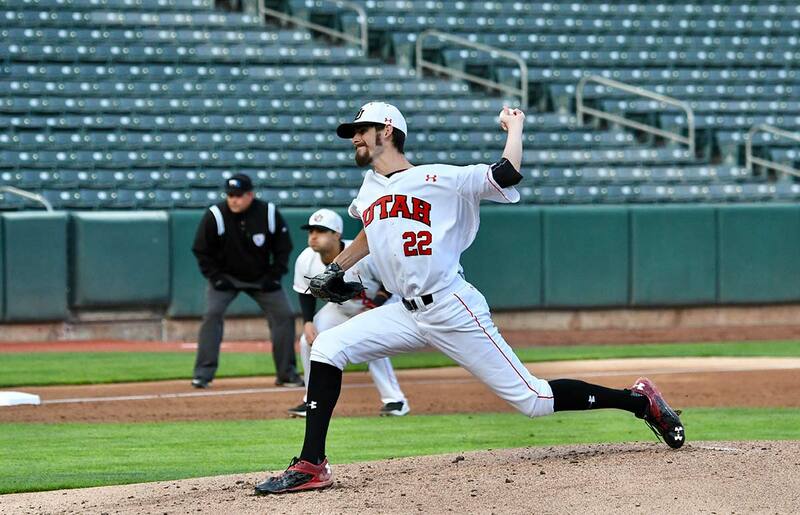 Crawford has had 12 pitchers drafted during his time at Utah, including seven in the first 10 rounds. Tyler Wagner was a fourth-round pick by Milwaukee in 2012 and made his major league debut in 2015. 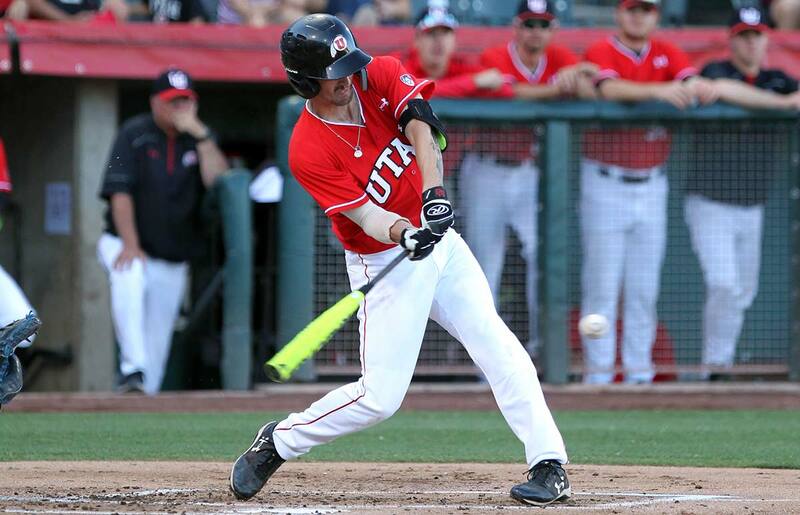 The Utes had three pitchers drafted in 2017: Riley Ottesen (5th round), Jayson Rose (8th round) and Andre Jackson (12th round). Rose was a two-time All-Pac-12 player at Utah. Utah pitchers had a banner year in 2017, holding opponents to a .264 batting average, which is the lowest since Utah joined the Pac-12. Several of Crawford's pitchers fill out the Utah record books. 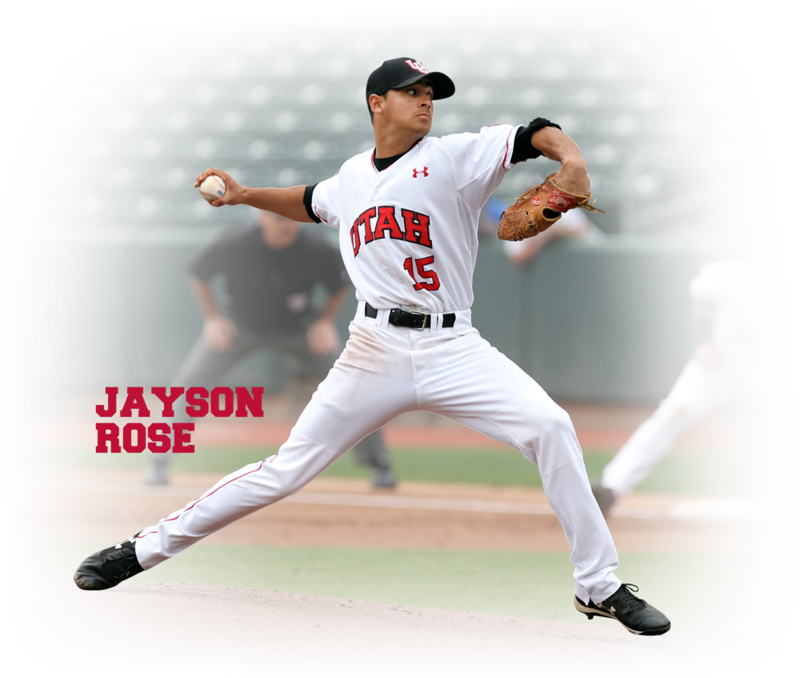 Rose holds both the career (256) and single-season (106, 2016) records for strikeouts and his 19 wins is tied for the career record at Utah. Wagner holds both the single-season (12) and career (17) records for saves as well as the single-season record for lowest ERA (2.04). Two-time honorable mention All-Pac-12 pick Mitch Watrous tied the single-season record for strikeouts in a game (12) in 2012 while Brett Brocoff also tied the record in 2018. 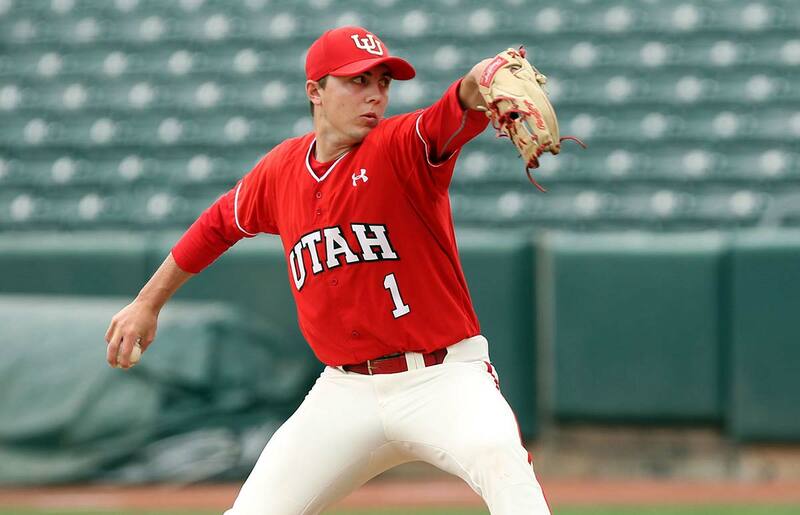 Dalton Carroll, a 2016 MLB draft pick, holds the Utah career record for innings pitched (316 2/3), and Stephen Streich and Trenton Stoltz both hold the record for career appearances (87). Utah set a team record with 421 strikeouts in 2009. Crawford previously spent two seasons as associate head coach at Yavapai College. 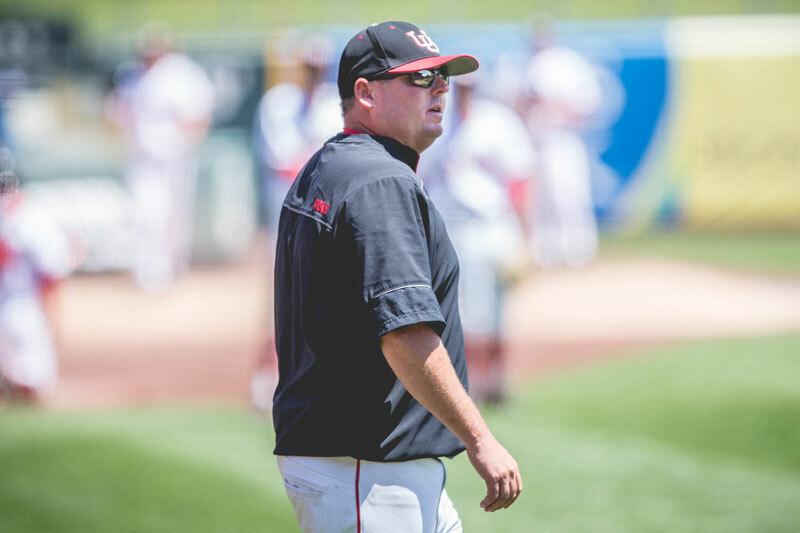 From 2002-05, Crawford was the pitching coach and recruiting coordinator at Cochise College. 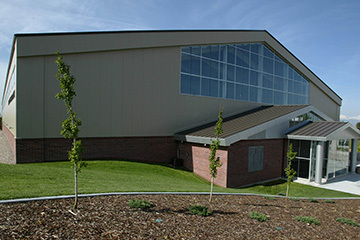 Crawford played at the University of Arizona from 1999-2000. He was a starting pitcher at Yavapai College in 1997-98 and was named the Arizona Community College Athletic Conference (ACCAC) Pitcher of the Year in 1998. Crawford has a son, Kolby (13). 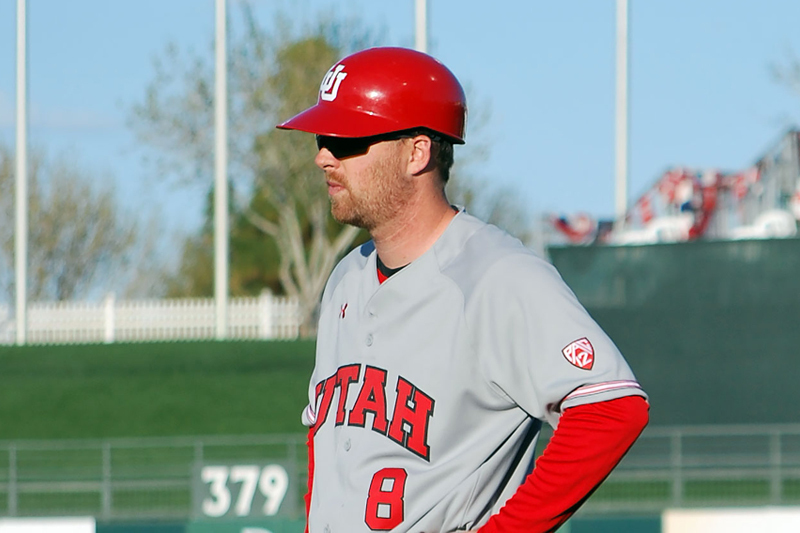 Former four-time all-conference Utah infielder Jay Brossman is in his eighth season on the baseball staff. 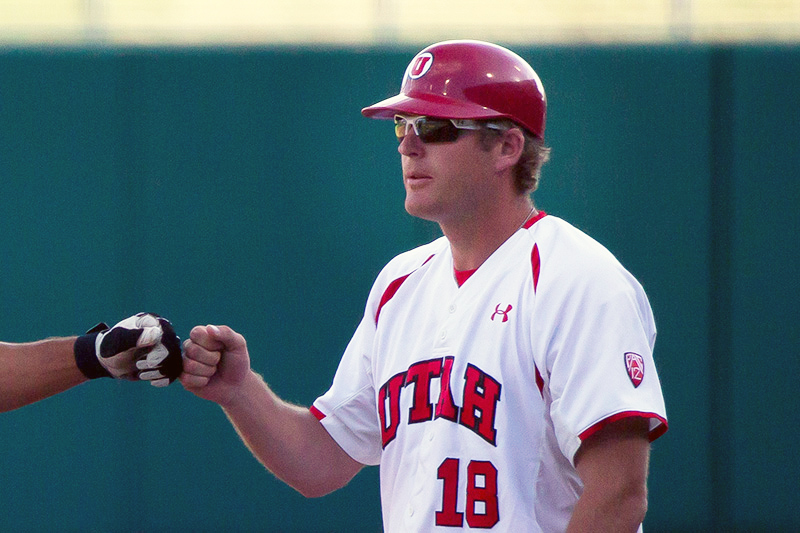 He is in his third year as a full-time assistant coach with the Utes, serving as hitting coach and running the offense. Under Brossman, Dallas Carroll (2017) and DaShawn Keirsey, Jr., (2018) were both selected in the MLB Draft. Carroll earned All-America honors from the ABCA in 2017 and was a two-time All-Pac-12 player while Keirsey was a three-time All-Pac-12 and All-Defensive Team selection (2016-18) for the Utes. Both were among the top hitters in the league during their time at Utah. Utah had one of its best offensive seasons in 2017. 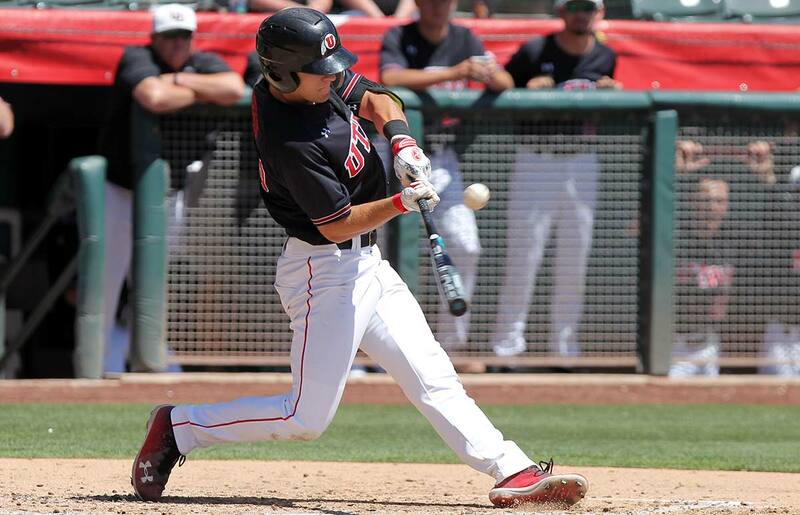 Utah's .287 batting average in 2017 was its highest since the Utes joined the Pac-12 in 2012. The Utes also had Pac-12 era highs in slugging percentage (.399), on-base percentage (.375), RBI (280), hits (514) and runs scored (311). Utah ranked fourth in the league in batting average, third in on-base percentage and fourth in runs scored and RBI that season. Brossman worked two seasons (2015-16) as the volunteer assistant coach for the Utes. He also served two years as the director of operations and one year as a student assistant coach. 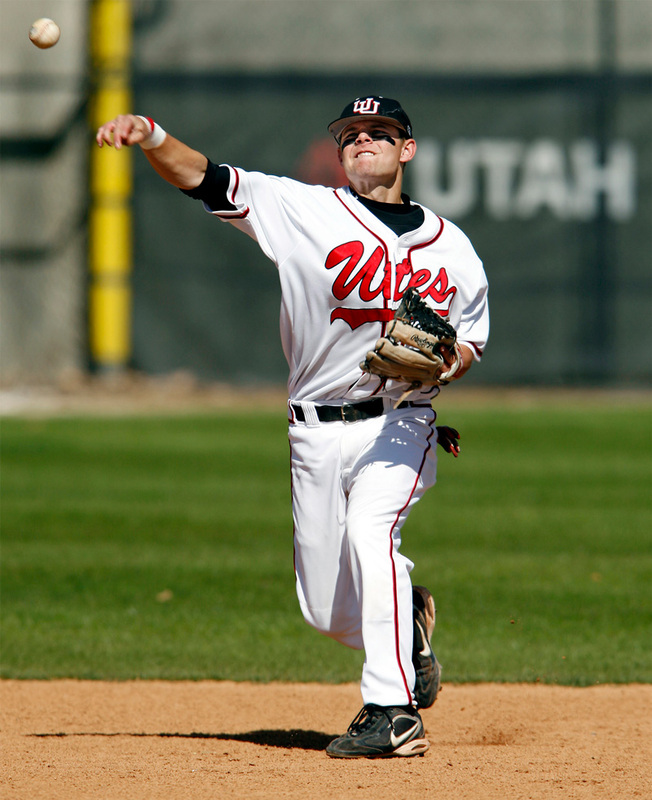 During his Ute playing career from 2004-07, he hit .359 and set school records for hits, doubles and total bases. Brossman was selected in the 36th round of the 2007 MLB Draft and spent five years in the Los Angeles Angels minor league system. He was a Pioneer League All-Star in 2007. Jay and his wife Jenny have two sons, Colten and Caleb. Parker Guinn is in his second season as a volunteer assistant coach at Utah. Guinn joins the Utes from Washington, where he was a student manager in 2017. Guinn played three seasons at catcher for Washington (2012-14) before transferring to SIUE (Southern Illinois University Edwardsville) for his senior season in 2015. Guinn was the volunteer assistant coach at SIUE in 2016. He served as the head coach for the U16 team of the Narrows Baseball Club from 2016-17. Guinn is originally from Las Vegas, Nev., and attended high school in Gig Harbor, Wash. He earned a degree in mass communications with a minor in business administration from SIUE in 2015. 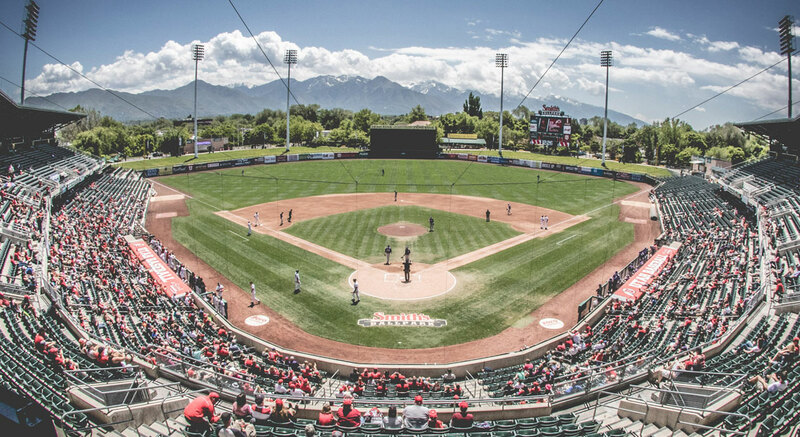 Utah Athletics has announced plans to build a $7.5 million baseball stadium, providing a state-of-the-art on-campus home for Ute baseball. The project would transform Ute Field, the current baseball practice facility on Guardsman Way, into a 2,000-seat stadium with an artificial turf surface. 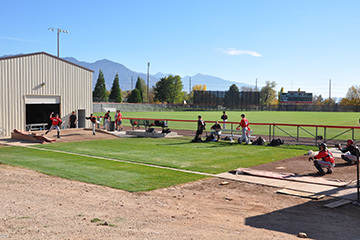 Utah baseball makes use of excellent facilities on and off campus, including the state-of-the-art Sorenson High Performance Center and picturesque Smith's Ballpark in downtown Salt Lake City. 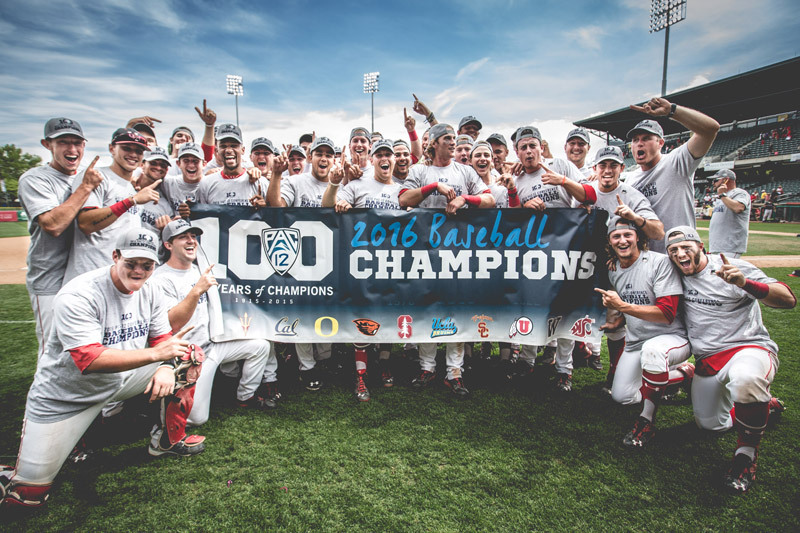 The Utes were crowned the 2016 Pac-12 Conference champions, winning the title in one of the nation's top-rated baseball leagues that boasts a record 28 NCAA championships. Utah then made it back-to-back Pac-12 upper division finishes after tying for fifth in 2017. 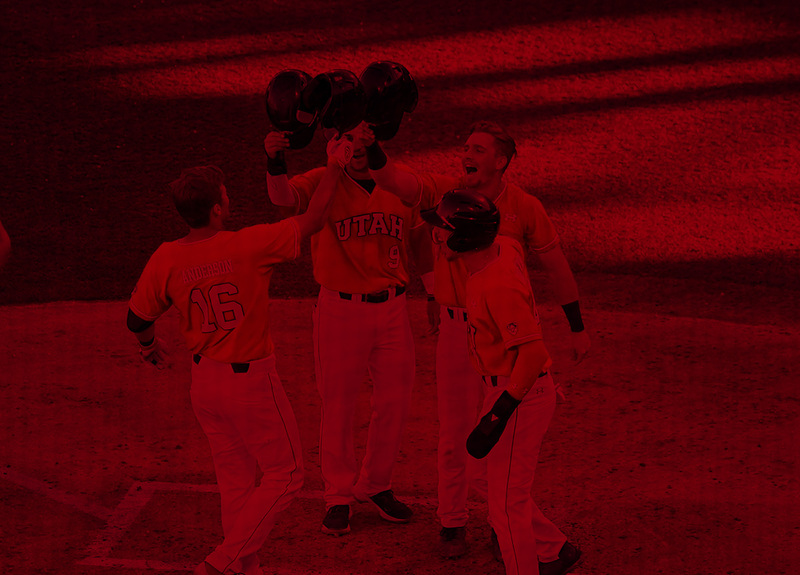 Utah has advanced to NCAA Regionals twice in the last 10 years. 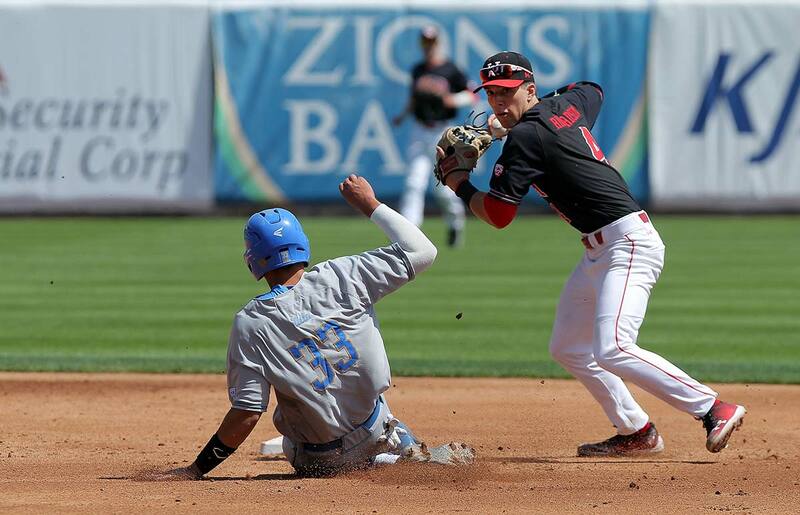 The Utes made their first NCAA appearance since 1960 in 2009 after winning the MWC Tournament. 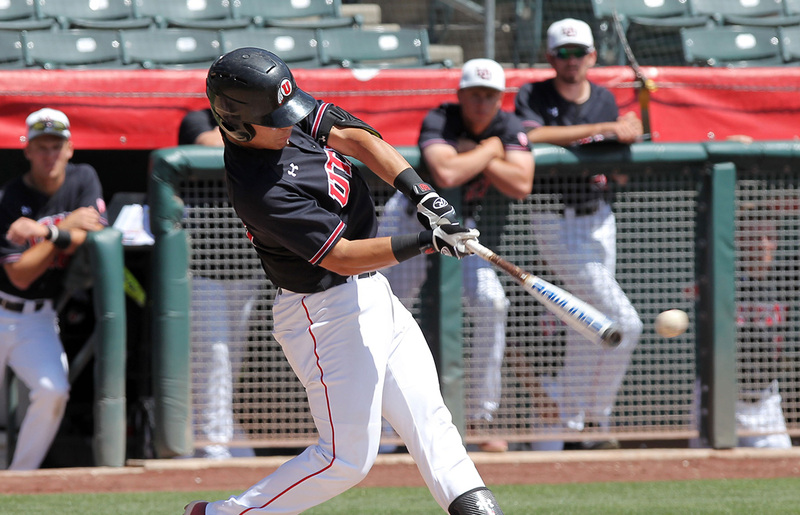 The Utes went 2-2 to finish as the runner-up in the Fullerton Regional. Utah went 1-2 in the Oxford Regional in 2016, getting a 10-inning win over No. 7-ranked Ole Miss in the tournament opener. In his first stint as Utah's head coach, Bill Kinneberg led Utah a then school-record 30 wins in 1996. The team he assembled before leaving to become the associate head coach at Arizona won 36 games and captured the WAC North Division title in 1997. In Utah's final year in the Mountain West Conference, Kinneberg led Utah to 29 wins and a runner-up finish in the league. DaShawn Keirsey Jr. was named to the ABCA/Rawlings West All-Region second team in 2018. The center fielder was a three-time All-Pac-12 selection and a three-time member of the Pac-12 all-defensive team. Keirsey ended the 2018 regular season ranked third in the Pac-12 with a .386 batting average, which set a Utah program single-season record. He tied for 10th in the NCAA with 23 doubles. First baseman C.J. Cron was named first-team All-American in 2010 and 2011, making the Baseball America, NCBWA, ABCA, Perfect Game, ESPN, and Louisville Slugger teams the second year. Shortstop Ryan Khoury was an All-American in 2006, making the ABCA first-team, NCBWA second-team, and the Collegiate Baseball third team. Chris Shelton was a third-team NCBWA and a second-team Collegiate Baseball All-American in 2001. Senior third baseman Dallas Carroll was named a third-team ABCA/Rawlings All-American and a first-team All-West Region selection in 2017. Some of the best pitchers in school history have come through the program in recent years. Jayson Rose, a two-time All-Pac-12 pick who was drafted in 2017, holds both the career (256) and single-season (106) strikeout records. Tyler Wagner, a 2012 MLB draft pick, owns both the single-season (12) and career (17) saves marks, as well as the single-season record for lowest ERA (2.04). Two-time honorable mention All-Pac-12 pick Mitch Watrous tied the record for strikeouts in a game (12) in 2012. Dalton Carroll, a 2016 MLB draft pick, holds the career record for innings pitched (316 2/3). Utah has garnered nine All-Pac-12 selections the last three years. Outfielder DaShawn Keirsey Jr. earned all-conference honors from 2016-18, and second baseman Oliver Dunn earned honorable mention last year. Dallas Carroll and pitcher Jayson Rose joined Keirsey in 2017. A record four Utes made the All-Pac-12 team in 2016. Four Utah players were named to the Pac-12 All-Academic team in 2018, led by second-team selections Wade Gulden and Tanner Thomas. 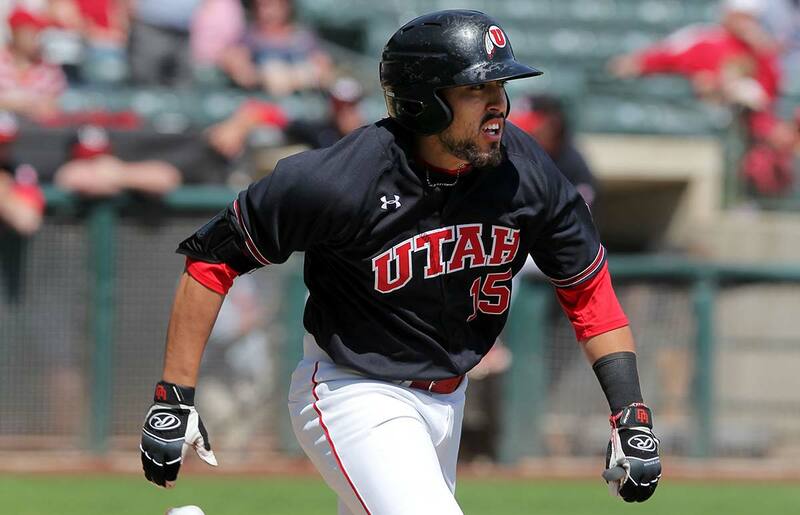 Utah has had 11 players taken in the first 10 rounds of the MLB Draft since 2008. C.J. Cron, who was Utah's first-ever first-round draft pick in 2011, made his Major League debut in 2014 with the Los Angeles Angels as a 1B/DH. 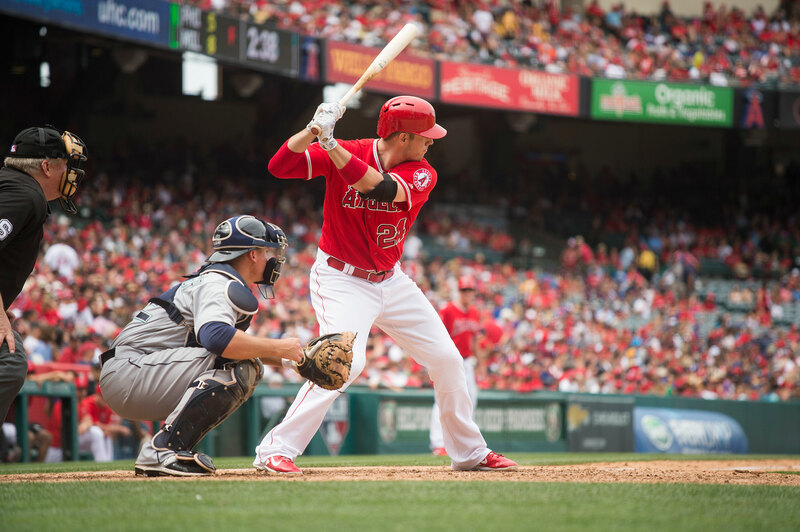 After four years with the Angels, he played with the Tampa Bay Rays in 2018 and finished with a career-highs of 30 home runs and 74 RBI in 140 games. He finished sixth among designated hitters in wins above replacement. He is with the Minnesota Twins for the 2018 season. 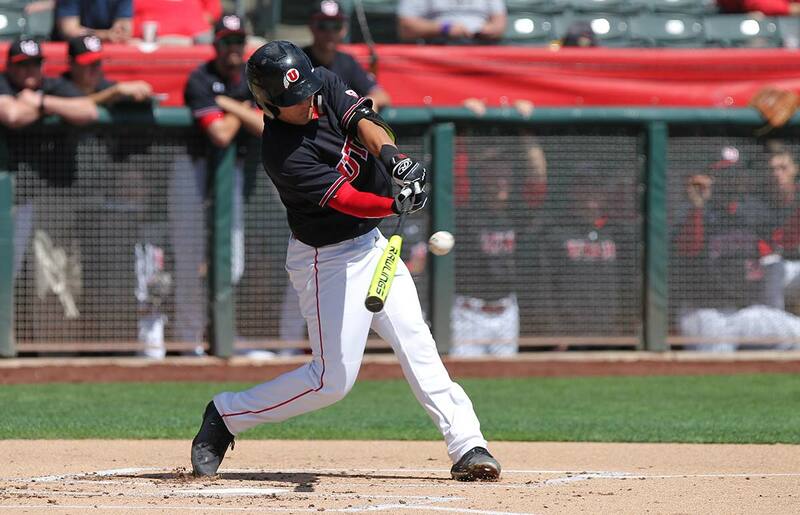 Outfielder DaShawn Keirsey Jr. was the Utes' latest high selection, taken by the Minnesota Twins in the fourth round of the 2018 MLB Draft. He played with the Twins Rookie League affiliate last season. For the first time in the program's history, three Ute players were taken in the first 10 rounds of the MLB Draft in 2017. 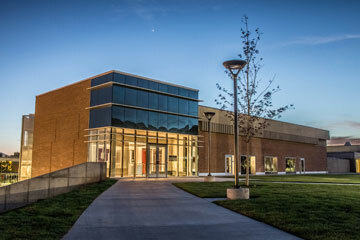 Four were selected overall, which ties the school's high mark. 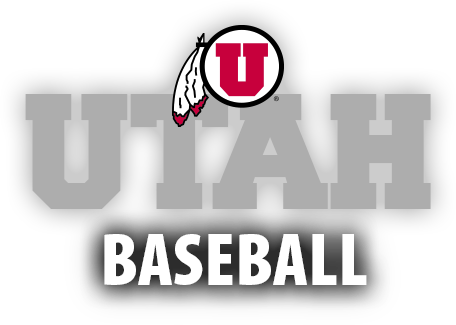 Utah's 2017 selections were Riley Ottesen (5th round, Dodgers), Jayson Rose (8th round, Brewers), Dallas Carroll (9th round, Brewers) and Andre Jackson (12th round, Dodgers). Mitch Watrous (eighth round, 2014), Nick Green (10th round, 2014) and Bret Helton (ninth round, 2015) have been top 10 round selections over the past five years. Pitcher Stephen Fife, a third-round draft pick by the Red Sox in 2008, spent time in the majors with the Los Angeles Dodgers over three seasons (2012-14) before suffering an injury. He spent the 2018 season with the Cleveland Indians organization in AAA. Pitcher Tyler Wagner, taken by Milwaukee in the fourth round of the 2012 draft, made his major league debut with the Brewers in May 2015. 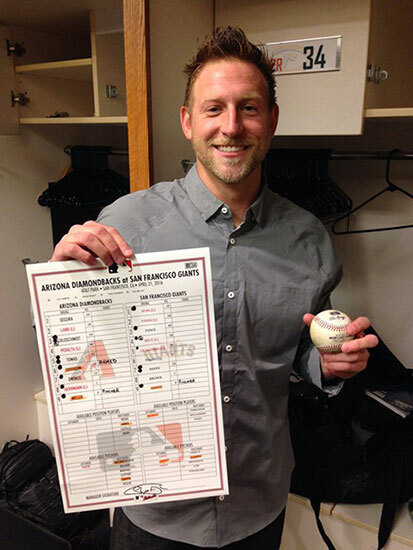 He earned his MLB first win with the Arizona Diamondbacks in 2016. He is currently with the Texas Rangers' organization. Catcher Parker Morin advanced to AAA with the Omaha Storm Chasers (Royals) in 2016 and was with Omaha for the majority of the 2017 and '18 seasons. Pitcher Trey Nielsen advanced to AAA Memphis in the St. Louis Cardinals organization. The Salt Lake City native was drafted in 2013 and was on Italy's roster for the 2017 World Baseball Classic. 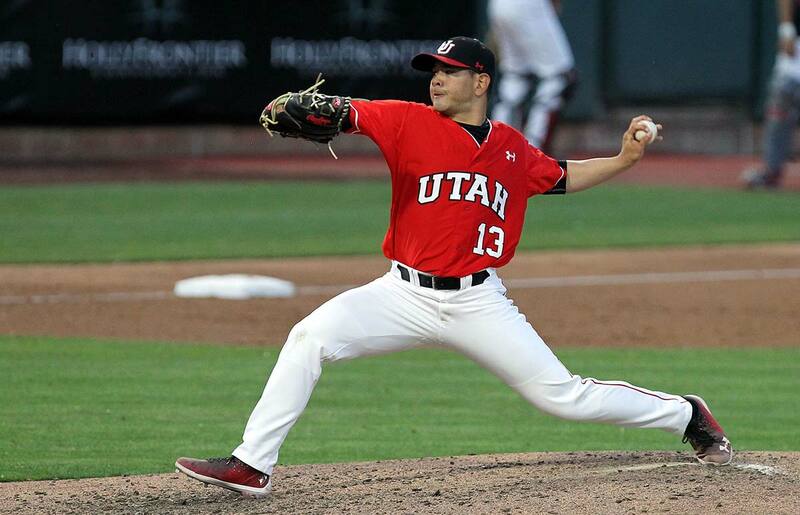 Among other former Utes in pro ball in 2018, pitcher Tanner Banks advanced to AA in White Sox organization, pitcher Bret Helton was in AA with the Pirates organization, third baseman Dallas Carroll played in Advanced-A with the Brewers, pitchers Riley Ottessen and Andre Jackson were with the Dodgers in the Arizona League, and pitcher Jayson Rose was assigned to the Brewers Rookie League team. Since 2004, Utah has ushered in the season by bringing in baseball celebrities for a special banquet to support the program. The guest list includes: Terry Francona (2005, ‘08, ‘17), Cal Ripken Jr. (2006), Brooks Robinson (2007), Harmon Killebrew (2009), Bruce Hurst (2010), Dave Winfield (2011), Ozzie Smith (2012), Tommy Lasorda (2013), John Farrell (2014), Jim Palmer (2015), Ned Yost (2016), Steve Garvey (2018) and Dusty Baker (2019). 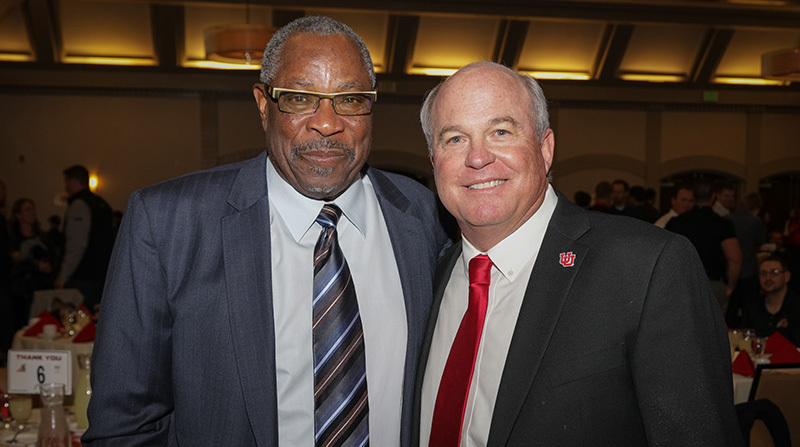 Utah head coach Bill Kinneberg (right) welcomed former major league player and manager Dusty Baker to the 2019 Utah Baseball Banquet.